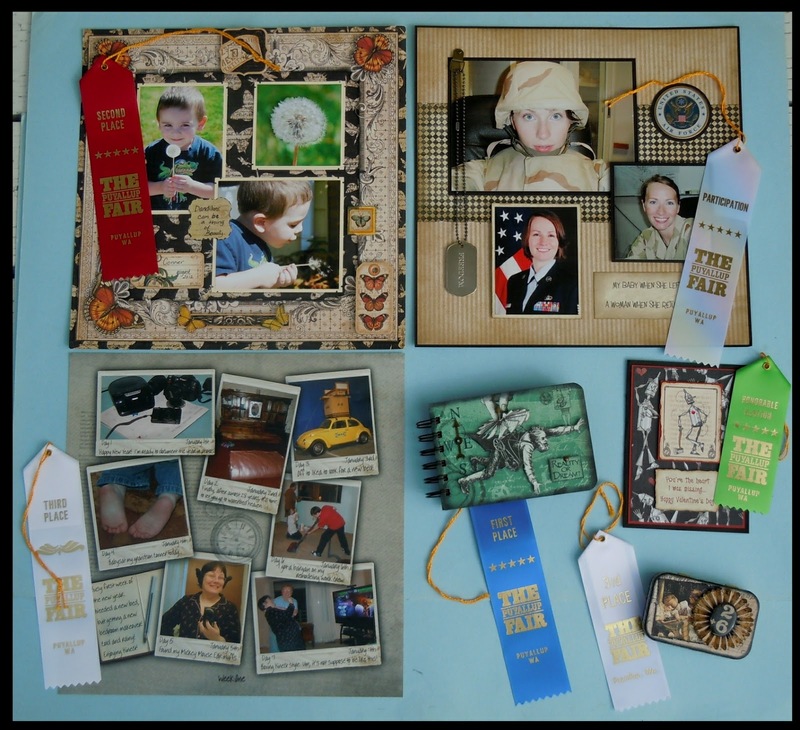 It's All About Me & Mine: Ribbon Winning Fair Projects. The fair is over and I couldn't be more pleased with the results. I came home with ribbons on all 6 projects (if you count the participation ribbon for the 1 item that didn't win anything). Of note.. 5 of the 6 projects were made using Graphic 45 papers. 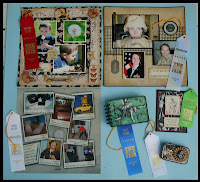 Upper left red ribbon was 2nd place, upper right white participation ribbon, lower left 3rd place ribbon. Lower right blue is 1st place, green is Honorable Mention and the white ribbon is 3rd place. This was my first time submitting anything in the Hobby Hall. It certainly won't be my last. Congratulations! Love all your projects, especially the notebook. No surprise on all your wins.... they're fab! Congratulations...what a versatile collection. I love both of your scrap pages. The dandelion photography is outstanding, you have a beautiful paper & design, and the little boy looks like a charmer. Thank you so much! They were sure labor of love projects. A funny comment on the dandilion layout. The judge rated all of the points as "excellent" except on the "skill" level. She rated my skill as "good". LOL Boy was that a hit to the ego!